QUESTION: Marty, it is well known here in Britain that you advised Thatcher of course, but it was John Major you advised and even wrote what he said during the pound crisis and the Soros attack. Would you ever like to comment on that in public about what really happened during that crisis. The press will never report anything you say. There are those of us who would like to hear from the source. ANSWER: For those who do not know, Sir John Major was the Prime Minister of Britain 1990-1997. One of the biggest BS stories is how they blame or credit such events to one person. Each of these market “manipulations” or attacks, are typically characterized with one member of “the Club” taking the front position. In this case it was George Soros. He was given the personal face of that event that broke the pound. It was by no means just Soros. He did not get that trade correct out of thin air. Everyone in the trading community saw it coming. It was similar to the Greek crisis in 2010. Once one member is in trouble, traders look around and see who is next. The 1992/1993 collapse of the European Exchange Rate Mechanism (ERM) was a system introduced by the European Economic Community on March 13th, 1979, to which Thatcher was against. It was part of the European Monetary System (EMS), intended to reduce exchange rate variability and achieve monetary stability in Europe in the aftermath of the collapse of Bretton Woods in 1971. Only after the Plaza Accord in 1985, did the EMS prepare for Economic and Monetary Union of Europe which gave birth to the introduction of a single currency, the euro, which took place on January 1st, 1999. The collapse of Bretton Woods, the ERM, and the coming Euro all have the same flawed understanding of economics. Governments think they can by law or regulation nullify their own failures. All three systems could never survive under the socialistic/military establishment for the politicians do whatever they want to sustain power, not to manage the economy in any meaningful manner. Clearly, the tension within the ERM began to build up from mid-July 1992, concentrating initially on the Italian lira, then on sterling and then on a variety of other currencies. 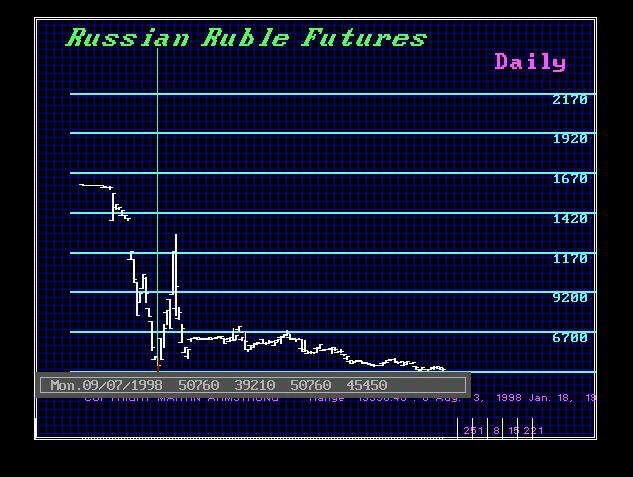 However, what was also overlooked was the fact that July 1992 was also when the Russian Ruble began trading for the first time. 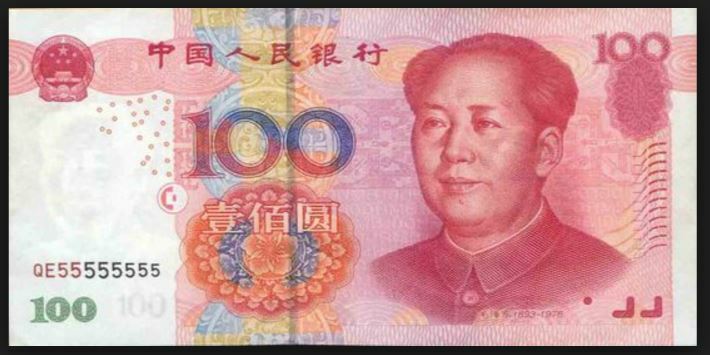 Meanwhile, the Bank of China required foreign visitors to China to conduct transactions with Foreign Exchange Certificates that were issued by the Bank of China between 1979 and 1994. Effectively, this was a two-tier monetary system – domestic v international. Following the ERM Crisis, this two-tier system in China was abolished, and all transactions then took place in Renminbi. The entire global foreign exchange system was changing. 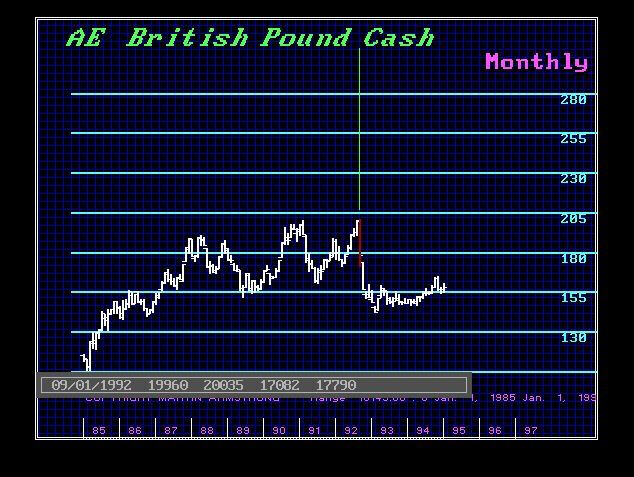 The biggest mistake people make looking at the British pound crisis of 1992, has been to look at it through a myopic perspective of isolation. The pressure on the Finnish Markka was so strong at that time it was forced to abandon its peg with the ECU. Italy raised its interest rates to try to support its currency, but still the lira weakened repeatedly. The Bundesbank did not cut its interest rates enough fearing inflation and speculation would continue, which put pressures on other states. It was on September 13th, 1992 when the Italian decision to devalue Italian Lira by 7% took place (other currencies revalue of 3.5%: Lira devalues 3.5%). The pressures on lira led traders to look around and saw that the British pound was also overvalued all relative to Germany. Hence, the pound sterling became the next target just as did Portugal after Greece in 2010. It was Black Wednesday, September 16th, 1992, when the British Conservative government of John Major was forced to withdraw the pound sterling from the European Exchange Rate Mechanism (ERM) after it was unable to keep the pound above its agreed lower limit in the ERM. Yes, I was being called during this crisis. The first call from Britain asked me what our model was forecasting. I warned that the pound had to be devalued and that the ERM was collapsing exactly as did Bretton Woods. I was told John Major could not devalue the pound for that was his campaign promise. I thought about the crisis and called back. I wrote down the words to say that he would allow the pound to float and seek its own level. This was slightly different from a devaluation which would have still been a fixed exchange rate peg. Allowing the pound to float would let the market make the decision, rather than the politicians. Therefore, Major did not violate his promise and did not officially devalue the pound – he let it float to seek its own level. The day after the British crisis ended with effectively withdrawing from ERM, it in turn flipped the pressure back upon Italy. Thus, the following day, the 17th of September 1992, Italy also withdrew from ERM. Once again, attempts to politically fix currencies produced a total and utter failure as was the case with Bretton Woods and of course the more recent Swiss Peg collapse. We will see the same end result with the Euro. 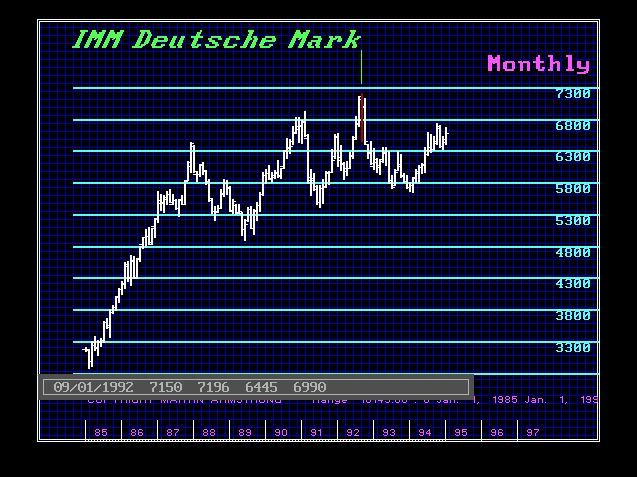 The Deutsche mark was sent to significant highs even against the dollar in September 1992. The foreign exchange markets remained disturbed for the rest of that year, with a renewed outbreak of speculative pressures leading to the abandonment of Sweden’s peg to the ECU, devaluation of both the Portuguese escudo and the Spanish peseta came in November 1992 and the abandonment of Norway’s ECU-peg in December 1992. By January 1993, Ireland witnessed economic pressure due to the sterling devaluation by the UK, and this then compelled Ireland to devalue by 10%. Germany finally reduced its interest rates in February, March and April of 1993, trying to ease the economic pressure within the currencies that had not yet been realigned. The entire crisis of 1992-1994 was a prelude to the ultimate crisis that would hit the euro for similar reasons and Germany’s fear of inflation that would impose austerity on the rest of Europe. It was Germany’s high interest rates in 1992/1993 that broke the back of the ERM. Indeed, then France presented a problem for the politicians that made clear of their commitment to the ‘franc fort’ policy, that was keeping the franc at its existing parity. France also wanted lower interest rates to relieve the recession, and it appeared willing to challenge the German economic authorities publicly, who were concerned about inflation, so they kept interest rates high out of austerity. On June 18th, the French money market intervention rate was pushed below the German rates. This was received with skepticism in the markets. Consequently, speculative pressures within the ERM continued to build. This time, those pressures turned against the French franc during July 1993. The Banque de France was forced to raise its interest rate to prevent the franc from falling through its ERM lower band. However, the Bundesbank did not lower its discount rate, and massive sales of the French franc, Belgian franc, Danish krone, Spanish peseta and Portuguese escudo took place in response. Once again, Germany’s obsession with the Hyperinflation of the 1920s dictates their response. Today, we have seen the price of German austerity upon the entire economic condition of Europe. While the ERM broke, today there is a full federalized government in Brussels attempting to maintain austerity and the same philosophies that broke the ERM during the 1992/1993 Crisis. At this point in time, the ERM was in total crisis within Europe. One would think they learned from Bretton Woods, but politicians are blinded by their self-interest, which always comes before that of the people or country. Massive intervention was necessary to keep these currencies just above their ERM floor. On the 2nd of August 1993, the EC monetary officials and finance ministers finally agreed that the ERM bands should be widened from 2.25% to 15% (except for the Dutch-German one). With the wider bands, the system would be less vulnerable to speculation. At the core of all of this was German’s complete misunderstanding of the Hyperinflation and their attempt to impose austerity upon all of Europe, which is deflationary and anti-economic growth. The ERM Crisis of 1992/1993, made George Soros famous, yes, but it awakened international hedge fund traders to the currencies markets. 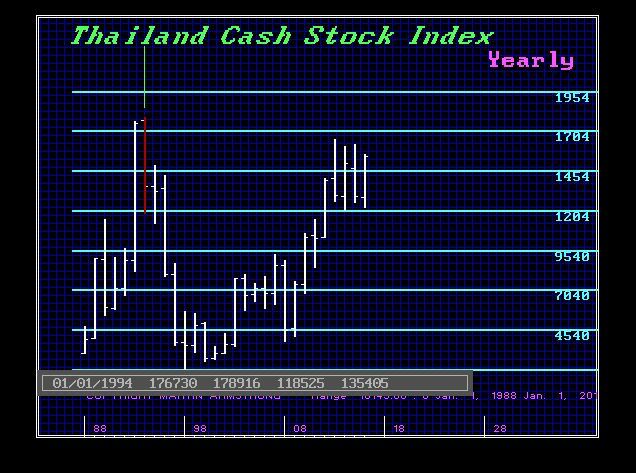 Traders then turned to the peripheral markets – Russia next and then South East Asia, which saw its share market peak in January 1994 and bottom in September 1998 (56 months). 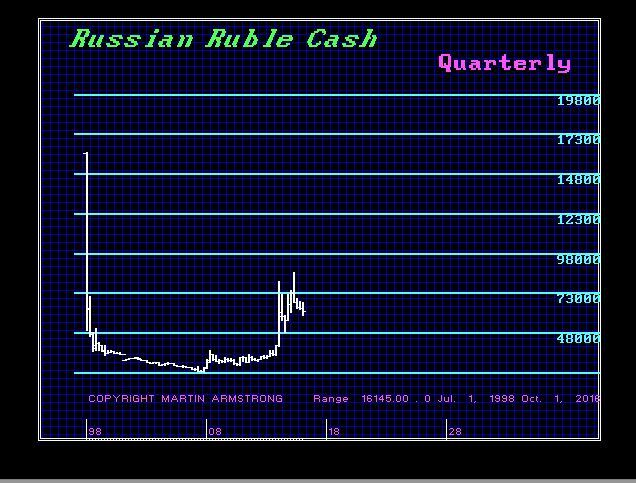 It was on October 11th, 1994, when the ruble tumbled in the Moscow interbank market by over 20% against the U.S. dollar. “Black Tuesday” became the first currency crisis in post-communist Russia also caused by politicians. From July 1992, when the ruble first could be legally exchanged for United States dollars, to October 1995, the rate of exchange between the ruble and the dollar declined from 144 rubles per US$1 to around 5,000 per US$1. 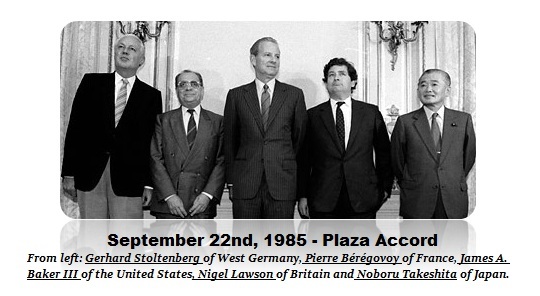 It was the float of the Ruble in July 1992 that started the shift in global capital flows and currency markets. 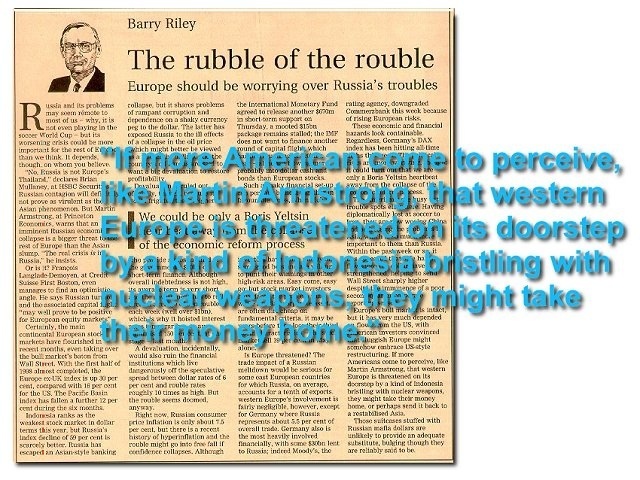 Politicians, for pride, artificially set the Ruble’s value too high against the dollar reflecting past glories, which was the exact same mistake of the British entering the ERM. Rapid changes in the nominal rate of the Russian economy reflected the overall macroeconomic instability. After the ERM crisis, traders then turned to emerging markets targeting Russia. This was the Black Tuesday with a 27% collapse in the ruble’s value against the dollar. Eventually, in July 1995, the Russian Central Bank announced its intention to maintain the ruble within a band of 4,300 to 4,900 per US$1 through October 1995. They later extended the period to June 1996. They attempted a “crawling band” exchange rate which they introduced to allow the ruble to depreciate gradually through the end of 1996, This led to a further collapse from 5,000 to 6,100. Of course, this eventually led to the collapse in 1998, which in turn set in motion the collapse thanks to Long Term Capital Management who lost on the Russian bond market. This would also come back as the Lehman and Bear Stearns collapse from 2007 some say because Bear refused to participate in the Long-Term Capital Management bailout. It was all set in motion by politicians trying to fix currencies that they cannot fix.